Let's talk skin, shall we? I've never thought to invest in a full on skin care regimen because throughout my should-be acne-ridden years, my skin played fairly nice. Just the regular stress induced, hormone induced or I-haven't-cleaned-my-make-up-brushes-in-months induced breakouts. Because of this luck, I'd kept with the same simple process (read, lazy) I've had since I was 16 -- a drugstore face wash followed be coconut oil to moisturize. Though coconut oil works wonders, it would've never taken the place of tailored skin care products, or so I've learned. Enza Essentials sent me a Day & Night regimen after I a answered these questions about my skin. When I opened the box, my first thought was "this is a hell of a lot of steps." 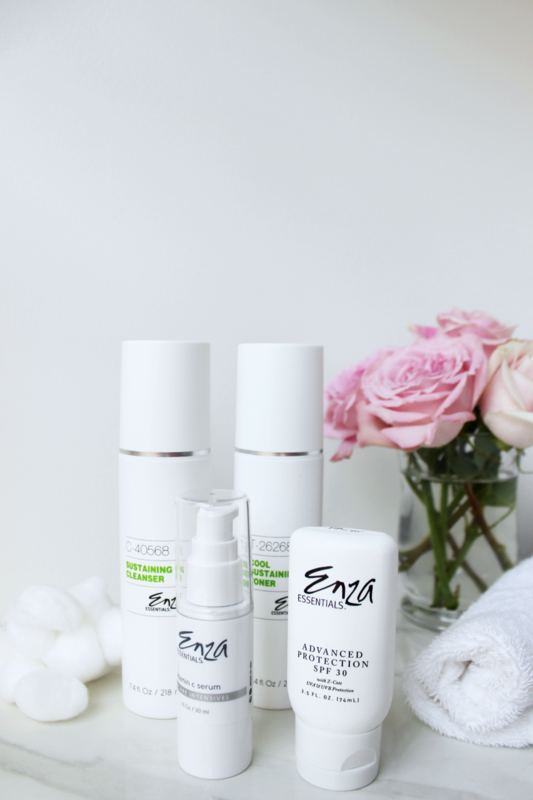 I've been using Enza for over a month now, and I know for sure I love the way it makes my skin feel. Once I got used to the process, it felt less like a chore and more like a much needed dose of self care. The face wash and toner are great staples, but the Facial Polish and Glow Creme that are a part of my night process are a-freaking-mazing. The polish felt like it was gently buffing away the grossness of the day and the creme just felt like silk kissing my skin, seriously. In their Day set, I used SPF for the first time ever outside of vacation, and after seeing this video on how sun can effect skin, I'm glad it was included. It's so easy to forget that your skin is what protects you from the harsh, mean world, so it never hurts to be extra nice to it. One thing I would've liked to test was their Spot Extractor, because I still had my regular isolated breakouts. Overall, I felt like I was treating myself to spa quality skin care every time I washed my face, and, I mean, who doesn't like a good spa day? Enza Essentials provided their products for review, but as always, opinions are all my own. I've never heard of Enza but I'll have to check them out. The Glow Creme sounds amazing!! 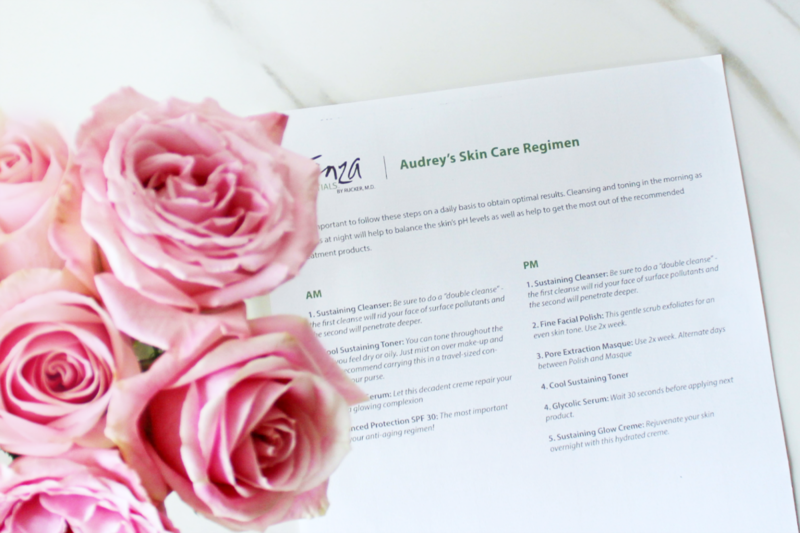 This is such an organized skin care plan! I so enjoyed reading this! This skincare looks amazing especially the sunscreen which is always most important! I so need that SPF advanced protection. The sun in South Florida is no joke! Great review. I really need to get into a good routine! Thanks for these recommendations! They sound so amazing!! Thanks for sharing !! I need to get on my skin care regimen, sounds amazing!